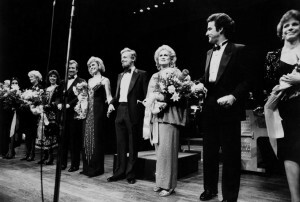 In celebration of the new Broadway revival of Stephen Sondheim’s Follies, today is the first of three Fridays with new photos from Follies in Concert. 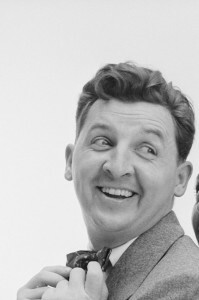 Here’s a new artist page for Eddie Bracken. His long career ran the gamut from Shinbone Alley to National Lampoon’s Vacation. 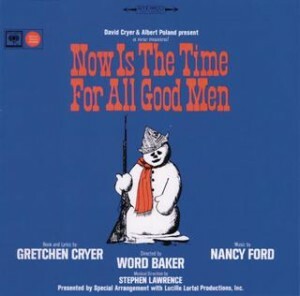 Check out the new album page for Now Is the Time for All Good Men, the Off-Broadway musical written by Gretchen Cryer and Nancy Ford. Now Is the Time for All Good Men will be available for download on all digital service providers starting on August 9th. 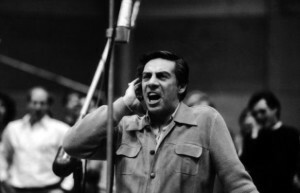 Check out the new photos from the Original Broadway Cast of 42nd Street featuring the late, great Jerry Orbach. 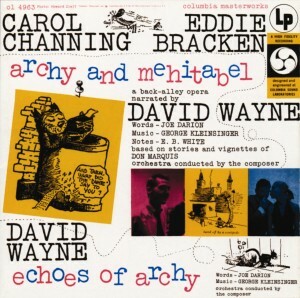 Here’s a new album page for archy & mehitabel, one of the first show “concept albums” featuring Carol Channing and Eddie Bracken. archy & mehitabel will be available for download through all major digital service providers on August 9th.